Selena is lounging on my bed. She is going to have knee surgery on Friday so she can full use of all four legs again. Don't ask me how a dog blows out a knee. 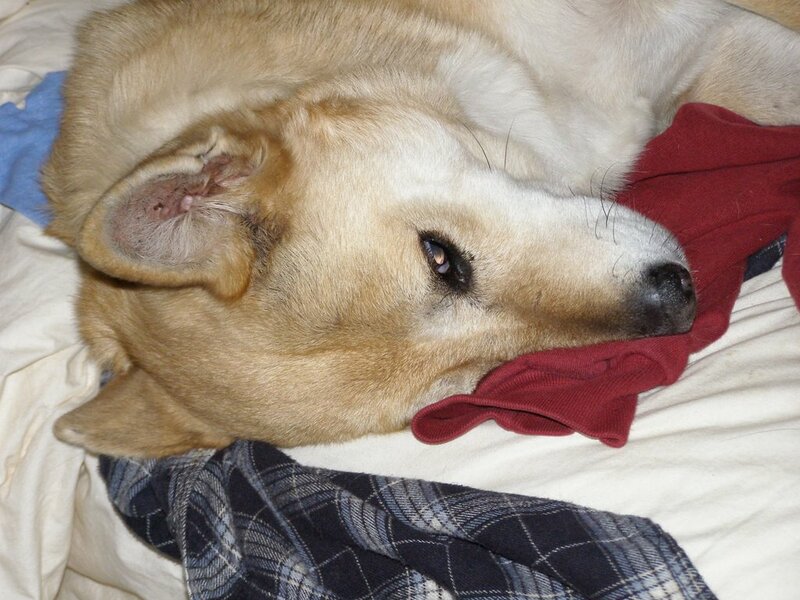 I don't have to ask how a dog blows out a knee b/c one of our golden mixes had the surgery a few years ago. I hope everything goes well. Whew, thanks for letting me know! I thought it was just freakish.